Private wilderness dining experiences in Ketchikan. Many of our guests arrive in Ketchikan with the desire to have a "true Alaskan experience". Bear's digging through your trash at night, getting used to 170 inches of a rain a year, and paying a buck fifty for something off the "dollar menu" certainly fall into this category, but we wanted to offer a bit more. Baranof Skiff Excursions was built on a wilderness fishing adventure where our guests target bottom fish, then have them prepared with our restaurant's gourmet accoutrements out at a wilderness campsite. The Cooking Your Catch charter expands on the original concept to offer more locations where a meal featuring your fresh fish can be prepared and eaten. The Cook Your Catch charter expands on the core concept to offer more locations where your meal can be prepared and eaten. Our 30 ft. cabin cruisers were custom designed and built for Baranof with this culinary experience in mind. Complete with a heated cabin and private head, full-day excursions on the water can be provided in complete comfort. 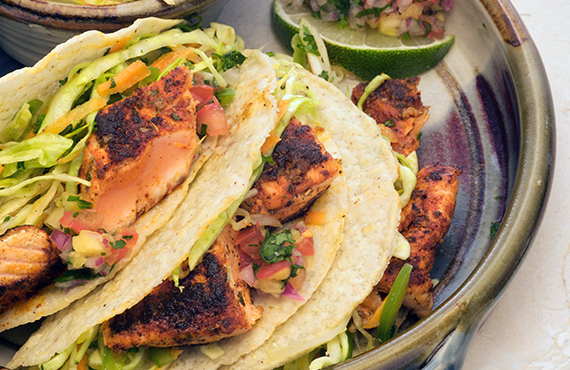 The captain will put you on the fish, and our chef will prepare a meal of fresh fish tacos as you explore the Southeast Alaska wilderness. Whether you'd like to spend the day in Rudyerd Bay at the heart of the Misty Fjords, or out on the wild coast of Duke Island searching for humpback whales is up to you. 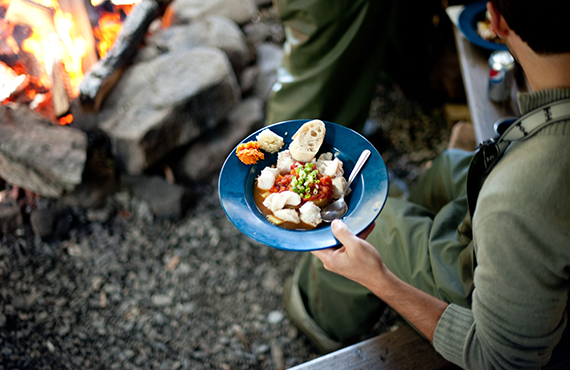 Dine on the fish you catch at our rustic wilderness campsite, or personalize your day further with a chef-prepared meal eaten on a secluded beach or in the middle of the Misty Fjords National Monument; likely to be the most authentic Alaskan experience of your trip. 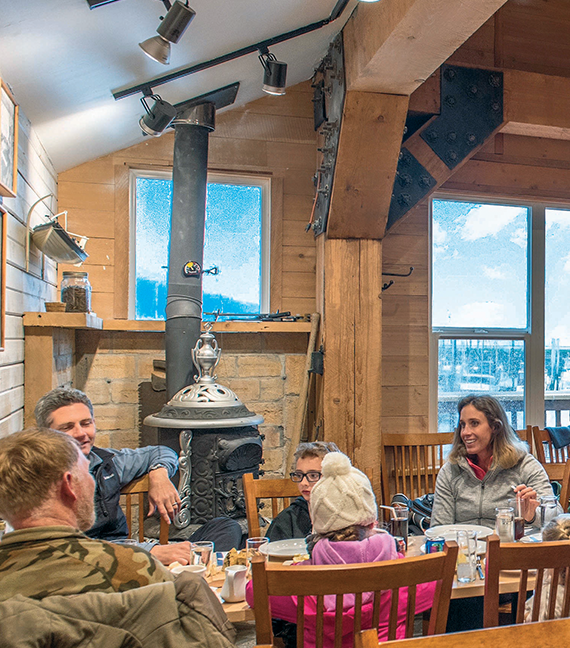 Our restaurant, The Alaska Fish House, is located at our marina. Spend the day out on the water and bring your catch home to have it prepared and served in our private dining room. Perfect if you'd like to invite a few of your friends and traveling companions to join you for the meal as you share stories of your Ketchikan experiences. If a glass of wine or tap beer is a preferred addition to your meal, this is also the best option for that, as alcoholic beverages aren't available either on your boat or at our remote campsite. This charter is designed to incorporate as many unique Southeast activities as possible, with the focus being on catching enough fish to feed your party a 5-star meal. Salmon or bottom fishing are both options, and can be done until it's time to eat. However, we suggest taking the opportunity to do some wildlife viewing or Misty Fjords sightseeing while you have the opportunity. The boat and the day is yours, do with it what you will.